Well! Today was a bit of everything. It was my day off, so I got to sleep in to the ripe hour of 7:45. I honestly don’t think my body can go any further than 9AM before it forces me up and out of bed. I was starving, which I always am when I wake up, and there was only one thing on my mind for my day off working out at the beach: EGGS! 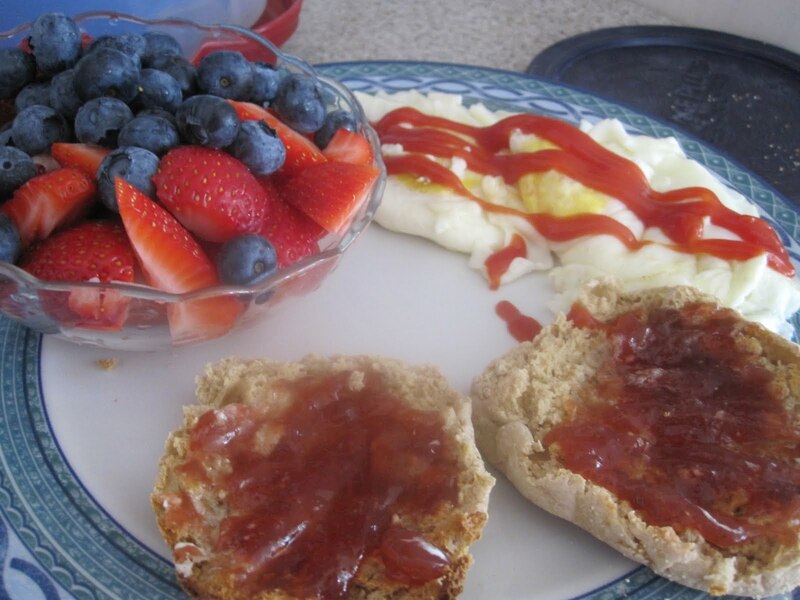 Two eggs over easy with Hunt’s Ketchup, one Multi-grain Light English Muffin with a little bit of Land O Lakes Whipped Spread and a whole bunch of Acme Simply Strawberry Jam, with a side of strawberries/blueberries. Ah, the perfect breakfast, although I didn’t cook the eggs quite as much as I should have, so they were extremely runny. Next time I’ll do it over medium. 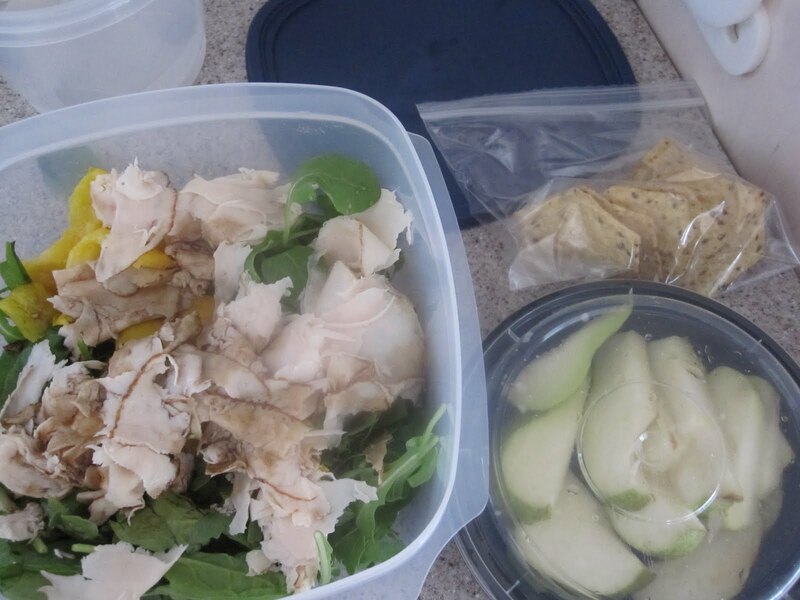 Arugula/Spinach combo dressed with balsamic vinegar and honey, topped with 1/2 yellow bell pepper and a few slices of deli turkey, along with Food Should Taste Good Multigrain Chips and another hugh jass pear. No almond butter today, as it would only rip up my guts more! 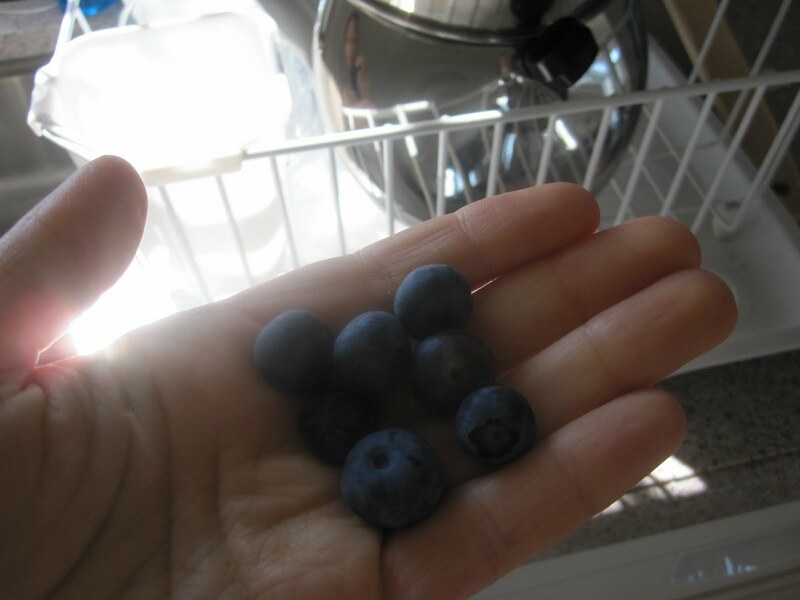 Trust me, half of that handful (or more) was already in my tummy. 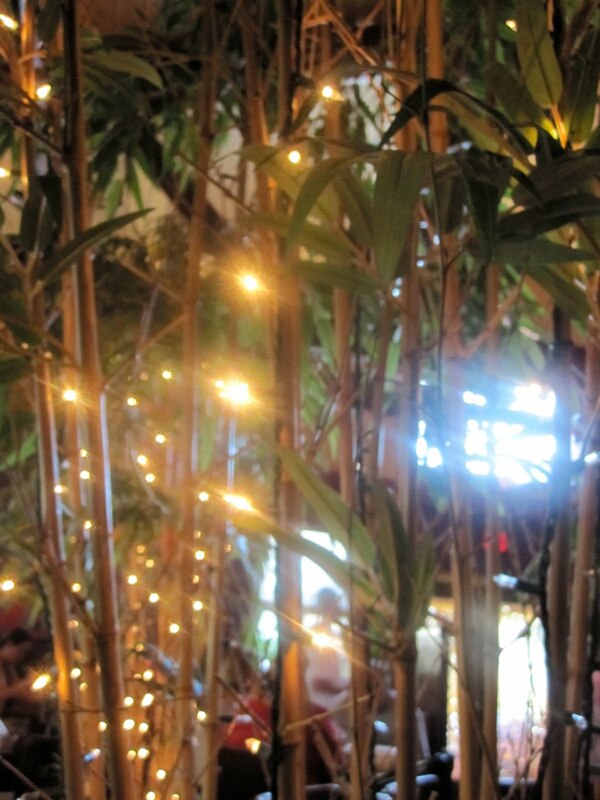 Dinner was at one of our local favorite spots down here at the shore, The Sea Grill. My mom and Dad love this place because of the fresh seafood and steak options, and the specials are always unique and good. Personally, I like it because it’s got palm trees festooned with Christmas lights inside. I started out with a pumpkinseed bread roll. 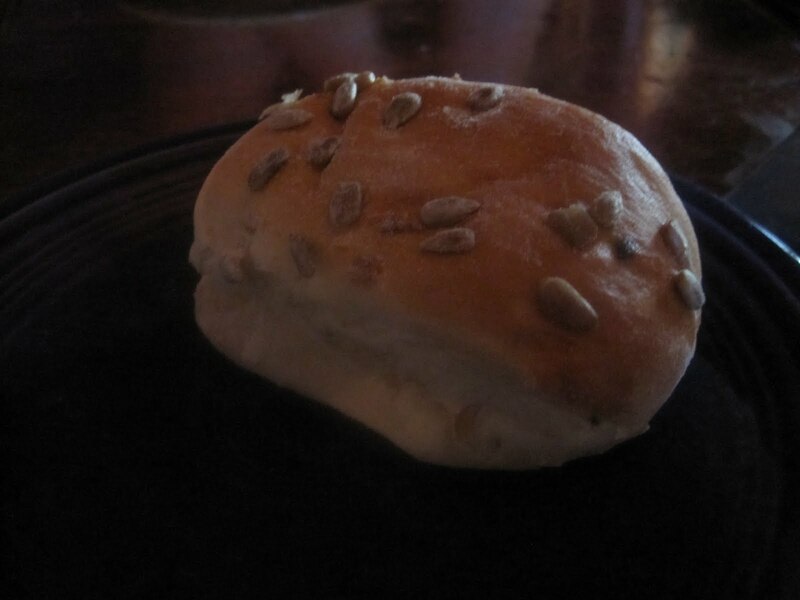 I thought this was going to be a whole grain bread since it had seeds on it, but it was just a standard white roll with a sprinkling of pumpkin seeds. It was still good, evidenced by the unphotographed chunk I ripped out of another roll. Another interesting thing about the Sea Grill is that you yourself get up and give your order to the kitchen window. Indeed, tonight I gave my entire order to the actual head chef! Then afterward you go to the salad bar and customize a starter salad from the many options they have for you. As you can see, I went to town on my salad. 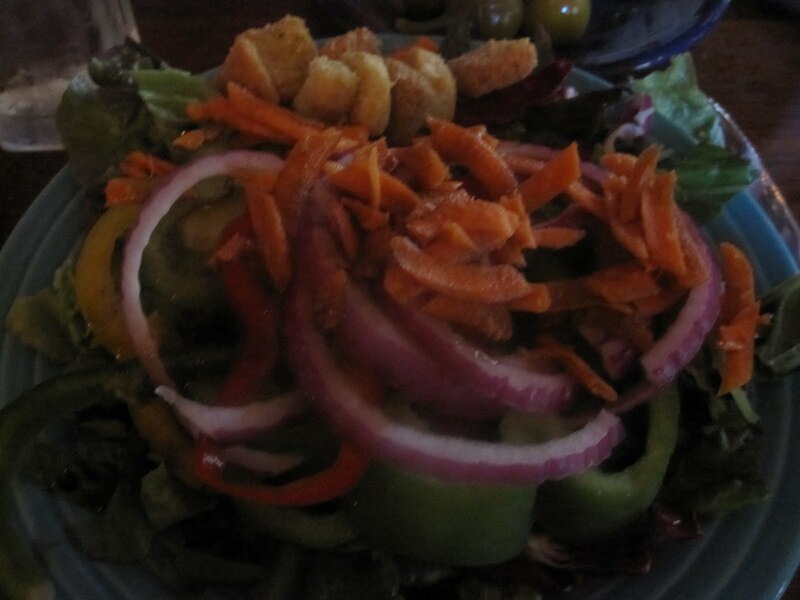 I got mixed greens, assorted bell pepper rounds, shredded carrot, red onion, and a spoonful of Italian croutons. I also got a few tiny peppers that I thought were pepperoncini but according to my mom were instead incredibly spicy so I ended up not eating them. I did ask if anyone bet me money to eat one, but I chickened out of the bet. For my main course I ordered one of the specials, Grilled Yellowfin Tuna, with a side of plain Baked Sweet Potato. I knew the rest of my table would be getting great stuff, so I chose to keep my plate relatively simple. This is a pretty big portion of fish, people. 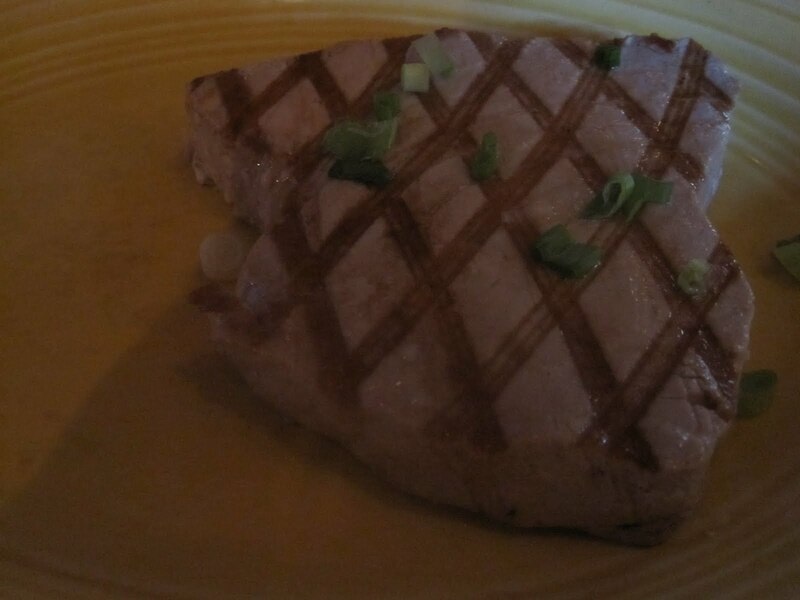 I had made the decision to order my tuna grilled instead of blackened because I knew the wasabi dipping sauce it came with would be super spicy. I ended up not using the sauce at all because it was WAY too spicy for me, so this ended up being kind of plain. I also told them to grill it medium rare, but this thing was almost completely cooked through! When I saw tuna on the menu, I thought it would be like you see it in sushi restaurants, all pink and raw and perfect. But this still tasted very good, despite not being what I expected, and I ended up finishing it! I of course put ketchup on it as well. 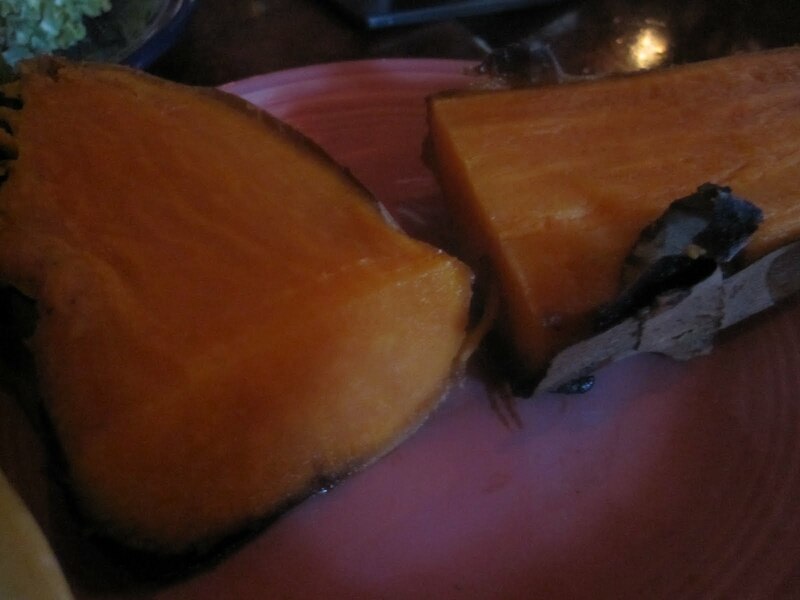 This sweet potato was humongous. It was about the size of the first half of my arm! And the flesh slid so easily out of the skin, I thought they had twice-baked it. The skin itself was sugary sweet, almost giving me the impression that they had coated the potato in brown sugar and then roasted it. It almost served as a dessert! I wasn’t going to finish it, but I ended up demolishing it. I also took bites of my brother’s roast duck (absolutely mindblowing, it tasted like a sweeter chicken with almost a pork aftertaste), and my sister’s Crab-Stuffed Flounder (great crab, bland flounder). All in all, The Sea Grill is a great, unique restaurant, and I highly recommend it. If I would change anything, I’d put more seasonings on the fish to get rid of the bland taste (although flounder and tuna need a LOT of seasonings as they tend to be milder fish anyway). I opted out of dessert, instead enjoying a decaf coffee, because I knew what would be waiting for me when I got home! You guessed it…more chocolate pieces! 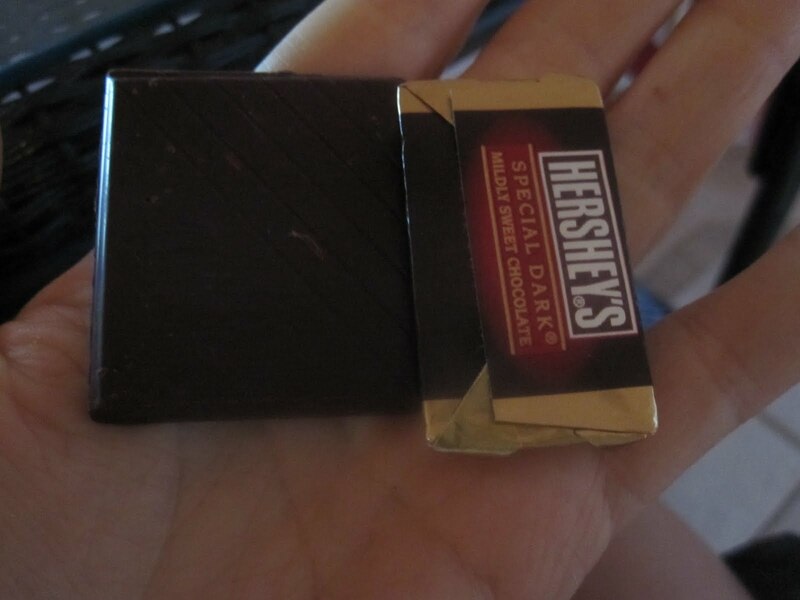 I still have half a bar of Lindt Intense Orange left, but this is the last of my Hershey’s Dark Chocolate Minis, a fact that makes me very very sad. However, I have big plans for my dessert on Sunday so I must be good until then! Off to start yet another book (another reason I love being on vacation is getting the chance to read a lot more! ), and maybe troll the internet for some recipes I can use for cod tomorrow. My mom is cooking cheese lasagna for my father, and I need to come up with a non-dairy substitute. We shall see!